Due to a number of no shows due to the terrible weather I finally got a chance to play some Wings of War with Baldy and Colin. Baldy claimed to be new to the game, despite playing it in the past, so we started off with a simple everything goes battle with no altitude rules. 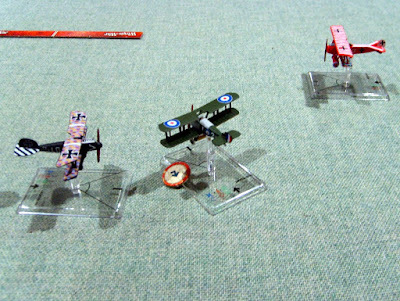 Both Colin and Baldy chose two seaters, RE.8 and Ufag respectively, I chose a Fokker D.VII. A game of Martin's Shipwreck modern naval rules. A set of quick play rules and a lot simpler than Harpoon. 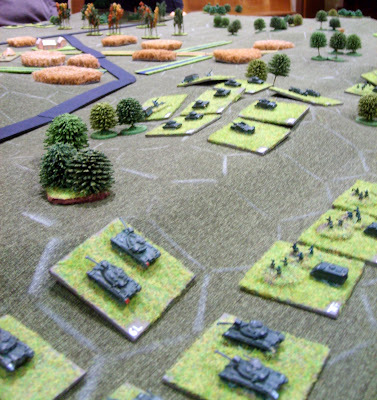 A clash between two small forces of 80's Soviets vs British. 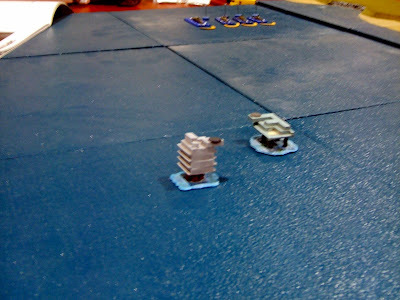 The ships started out closer together than standard due to some missing seaboards in Martin's modular terrain. Still plodding along in eRepublik. Been playing this game in auto mode for quite a while now, spending a couple of minutes a day to click the relevant buttons. Have been dipping in and out a bit as my interest waxed and waned. Due to my persistence I've now enough freebie gold stored up to do a bit of 'tanking' where you can burn gold to get extra health and so extra attacks, also enough money to get better weapons but not sure whether to stick with the 1* quality weapons or to upgrade and do more damage. The reason to tank? The current on going invasion of the UK (aka eUK). 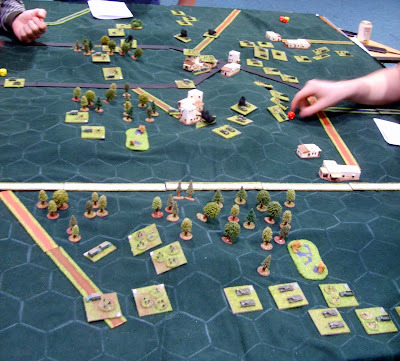 Joined in with another game based during the Indo-Pakistani War of 1965. Another iteration of the Dave M home-brew rules, now using ten-sided dice rather than the D6 of the previous game. Both sides are assaulting across the table. 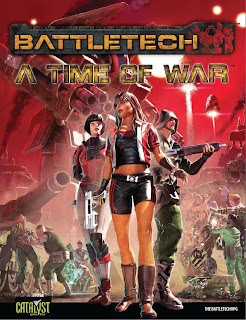 A Time of War, the Battletech RPG is finally out (in pdf form at least) and I managed to get it at a discount by taking advantage of the Beta release offer from BattleCorps, a month back, including a free upgrade to the newly available final release version. Looked on as two teams played out an Indo-Pakistan War (1965) encounter with micro armour and soldiers smaller than ants. Maybe they were ants, cruelly painted green and sent into action.